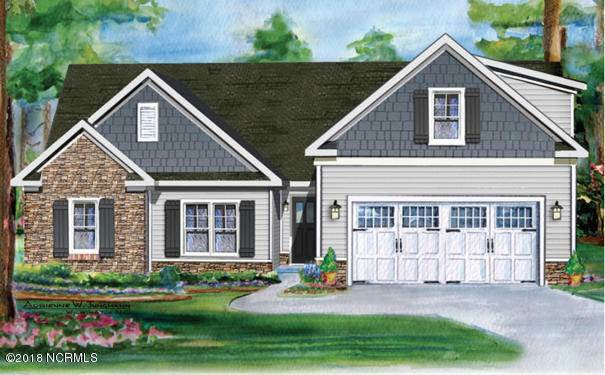 New construction by Pyramid Homes with this Brand New Craftsman style Charlotte plan in desirable Windsor Park. Home offers 3BR/2BA downstairs & a finished room with bath over 2 car garage. The exterior design showcases beautiful craftsman detail with stone accents along the front and a carriage style garage door. Nice open kitchen layout with island bartop, granitecountertops and 36'' Maple cabinets plus a stainless appliance package. The dining nook is bright with a pair of twin windows plus French door access to a sizeable covered rear porch. There's Hickory hardwood flooring in the foyer, family room, kitchen and dining nook with ceramic tile flooring in the laundry andall baths. The owner's suite has a tray ceiling with a huge walk in closet. The master bath has garden tub, double vanity, and walk-in shower. The landscaping includes sod and lawn irrigation system in front yard. Community offers low HOA and fantastic amenities. Builder and lender incentive offered. Scheduled completion, November 2018. SchoolsClick map icons below to view information for schools near 1649 Pine Harbor Way Leland, NC 28451.